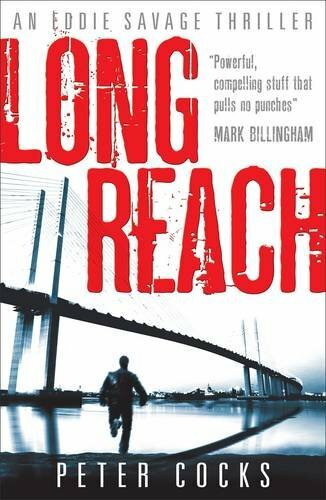 This book is fast paced, gritty and a crackingly good read. The thing that I love about this book is that it is so different from any other Young Adult book I have ever read. I've seen books with similiar concepts in the Adult section but nothing of its kind aimed at teenagers. The book follows the story of Eddie, a young man who, after the death of his brother, is drafted in to work for a private security firm. His assignment is to get close to a girl of his age who is the da...moreThis book is fast paced, gritty and a crackingly good read. The thing that I love about this book is that it is so different from any other Young Adult book I have ever read. I've seen books with similar concepts in the Adult section but nothing of its kind aimed at teenagers. The book follows the story of Eddie, a young man who, after the death of his brother, is drafted in to work for a private security firm. His assignment is to get close to a girl of his age who is the daughter of a local crime lord. I found Eddie to be a really interesting character. He obviously wants to do the right thing but learns quickly that doing the right thing long term means doing some questionable things short term. I really liked seeing how his relationship with Sophie developed and how he grappled with his ideals and the morals of what he was doing as he went along. I was gripped throughout the book, I never found the story to be dull at any point as there was so much going on as Eddie found his feet in his new position of double agent. There were loads of parts where I couldn't put the book down because things were so intense and you weren't sure as the reader which way it was going to go. Reminiscent of something by Harlen Corben or James Patterson this fantastic new title tackles a genre which is not widely aimed at the Young Adult market. An engaging, fast paced and thrilling read. Interesting. I haven't heard of this one before, but it does sound really different from the usual YA read. Thanks for sharing! Great review! You can check out the live action book trailer for Long Reach on www.undercoverreads.com. was never really into thriller books, but this was brilliant ! current, relative to teenagers, and the best page turner ive had in a long time ! buy buy buy it !